May Breakfast - "Diversifying Your Workforce with International Students "
June Dinner - "Skating to the Puck: A Session on Strategic Thinking With A Little Hockey Thrown In..."
HR Florida Conference April Collage Challenge! 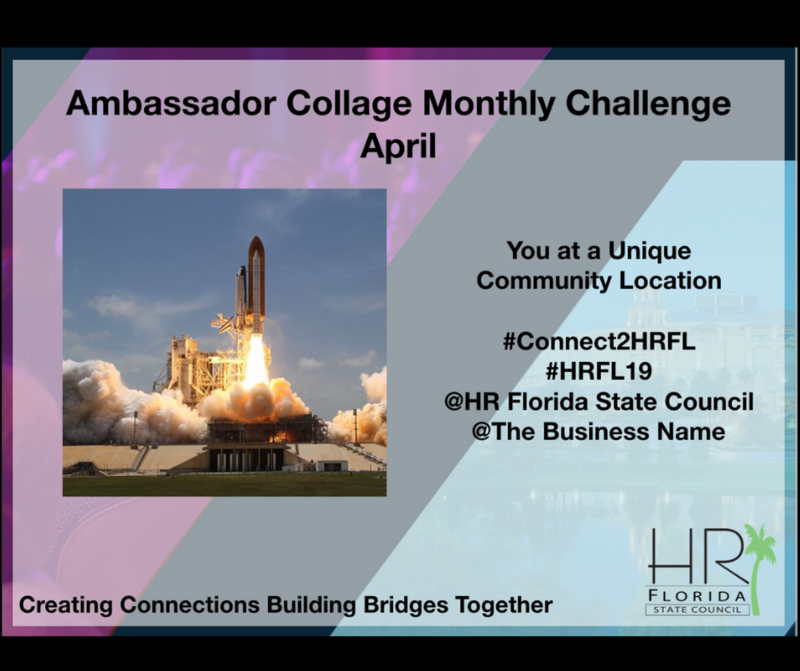 The Annual HR Florida Conference & Expo is happening August 25-28, 2019! This year's theme is "Creating Connections, Building Bridges Together". To help celebrate this theme, they want to share our community with the whole State! Please participate by posting a photo of yourself or others at a unique community location! Show us a cool place to go! Please be sure to use the hashtags and @'s included in the photo. Too busy?? Email your photo to Wanda Orengo. We'll get the picture up for 'ya!